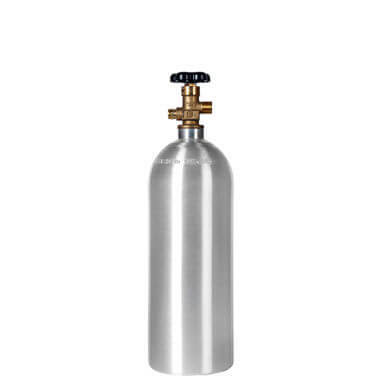 22 cu ft aluminum CO2 nitrogen mix cylinder – light and versatile, this tank is ready for use with beer gas / G-mix and other mixed inert gases. A light, tough, and mid-capacity workhorse CO2 nitrogen mix tank. 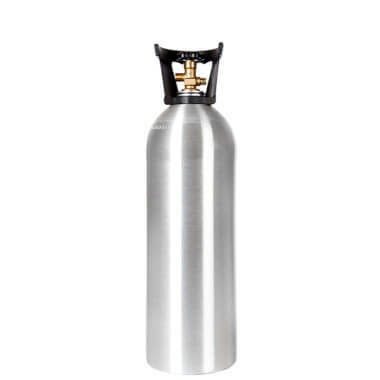 22 cu ft aluminum CO2 nitrogen mix cylinder. A great combination tank for capacity and weight. Up to 40% lighter than steel, the tank is easy to move in busy environments, and with durable construction and a corrosion-resistant exterior, it can stand up to wet and crowded settings with ease. 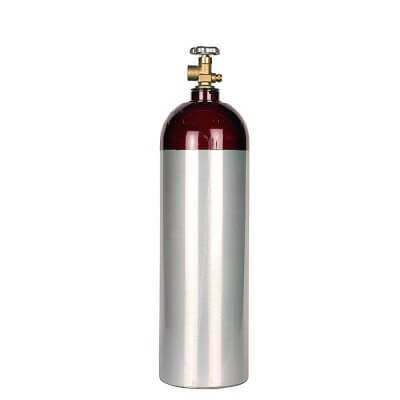 More CO2 nitrogen mix tanks can be found on the CO2/nitrogen mix cylinder page.